Feng Zhang develops tools that are broadly applicable to studying genetic diseases and developing diagnostics and therapeutics. These molecular engineering tools are useful for understanding nervous system function and diseases with genetic links such as autism spectrum disorder. 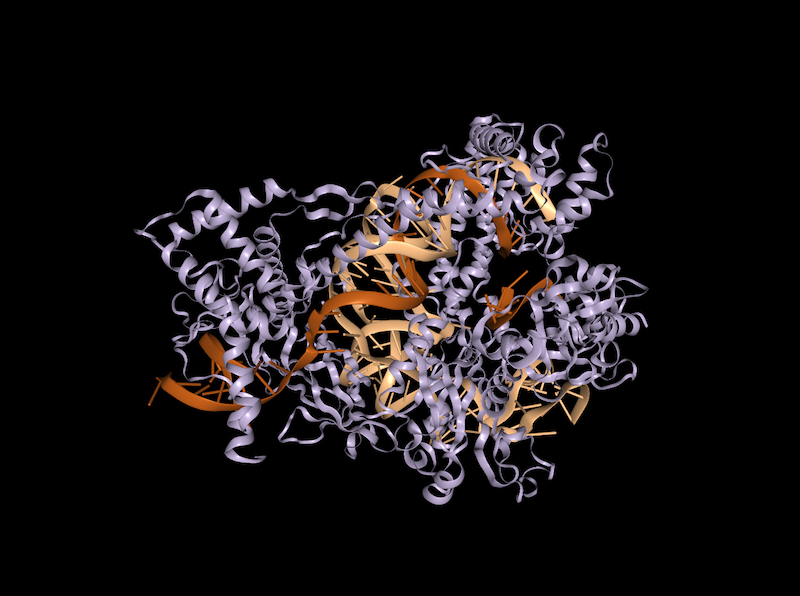 Zhang pioneered the development of CRISPR-cas9 as a genome editing tool and its use in eukaryotic cells –including human cells– from a natural CRISPR immune system found in prokaryotes. He has substantially expanded this toolbox through discovery and harnessing of new CRISPRs. These new tools not only include DNA-targeting CRISPR systems, but also CRISPR systems that can target RNA. Through rational engineering he is improving specificity of CRISPR systems, and is expanding their window of opportunity. He has now engineered systems that can cleave within a specific, targeted nucleic acid sequence, and others that are designed to edit specific bases on the DNA or RNA target, and yet others that make epigenetic modifications. These tools, which he has made widely available, are accelerating research, particularly biomedical research, around the world. Zhang’s long-term goal is to develop robust therapeutic strategies for disease treatment. In this pursuit, he played a key role in the development of optogenetics while a graduate student at Stanford with Karl Deisseroth, and previously harnessed the bacterial TALE system, including adding nuclease capabilities, for use in mammalian cells to be able to insert optogenetic genes into neurons. Most importantly, he has leveraged CRISPR, an immune system found only in prokaryotic – bacterial and archaeal – cells, into a broadly customizable toolbox for genomic and epigenomic manipulation in eukaryotic (animal and plant) cells. This toolbox opened the floodgates of biological research, for the first time, allowing researchers to study the role of complex genetic and epigenetic mechanisms underlying diseases. While Zhang also focuses also on cancer biology, immunology, and diagnostics for infectious disease, he is interested in addressing brain disorders, especially those associated with complex disorders, such as autism spectrum disorder and Alzheimer’s disease, that are difficult, and often impossible, to model using conventional methods. Soon after joining the McGovern Institute, in February 2011 Zhang learned of the bacterial CRISPR immune system in a talk by Michael S. Gilmore, a Harvard Medical School professor, and with Gilmore’s mention of the word “nuclease”, Zhang immediately recognized the potential in this system and turned his attention to harnessing CRISPR nuclease as a potential tool for use in mammalian cells and for genome editing. On Oct 5, 2012, Zhang submitted a breakthrough paper which reported the first successful programmable genome editing and also the first successful use in mammalian cells of CRISPR-Cas9 (Cong et al. Science 2013). Zhang’s CRISPR technology afforded a method for mammalian genome editing and has had enormous impact on experimental science. This technology also holds great promise for therapeutic applications. His lab continues to refine and improve upon CRISPR technology and to develop novel genome-engineering technologies aimed at perturbing and editing the genome for disease research. Zhang developed a simpler and more precise genome engineering tool known as CRISPR-Cpf1 (since renamed Cas12a) which he has engineered toward targeting a broader swath of the genome and most recently demonstrated a third DNA-targeting system, C2c1 (since renamed Cas12b), affording further options and capabilities for the CRISPR DNA-targeting toolkit. The Zhang lab also developed RNA-targeting systems, including C2c2 (since renamed Cas13a) and Group 29 (since renamed Cas13b). 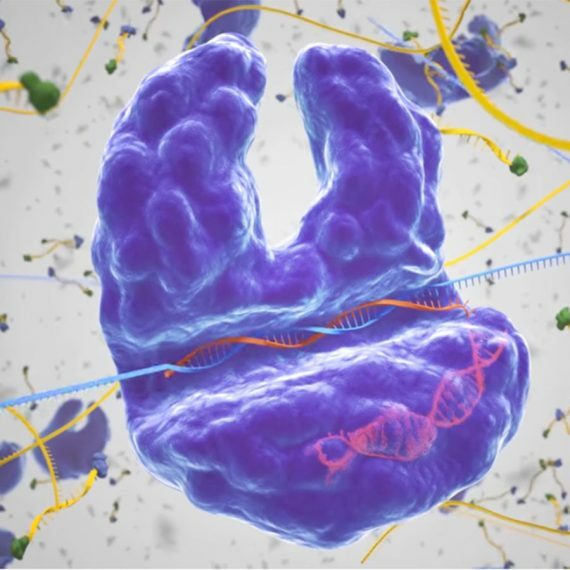 These RNA-targeting systems have been engineered by Zhang for precision RNA and base editing, which would avoid making heritable alterations to the genome. In addition, the Zhang lab used the unique activity of the Cas13 family to develop SHERLOCK, a diagnostic that can detect trace amounts of infectious agents such as Zika virus, and even cancer-linked mutations. 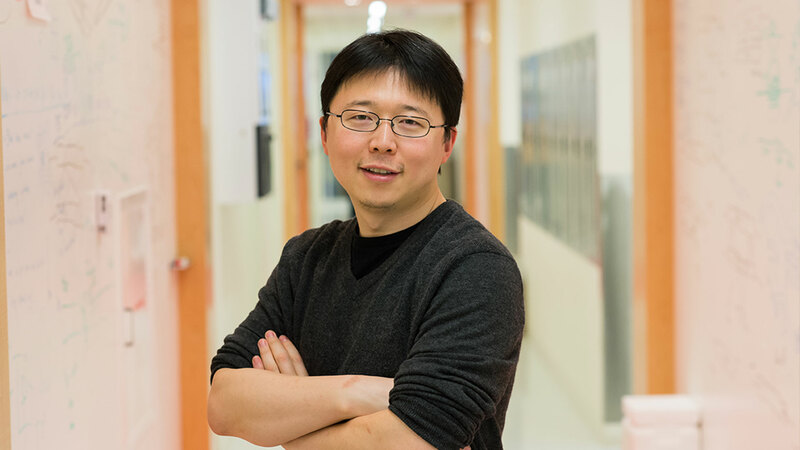 Feng Zhang is a McGovern Investigator and a professor in MIT’s Departments of Brain and Cognitive Sciences and of Biological Engineering. He is also a core member of the Broad Institute of MIT and Harvard. He joined MIT and the Broad Institute in 2011, was awarded tenure in 2016, and became a full professor in 2018. Feng Zhang grew up in Iowa after moving there with his parents from China at age 11. He received his AB in chemistry and physics from Harvard College and his PhD in chemistry from Stanford University. Zhang is a founder of companies including Editas Medicine, BEAM Therapeutics, and the public company Arbor Biotechnologies. He is also a trustee of the non-profit organizations Society for Science & the Public and the Center for Excellence in Education. SHERLOCK: a CRISPR-based tool for diagnostics. This animation depicts how Cas13 — a CRISPR-associated protein — may be adapted to detect human disease. This new diagnostic tool, called SHERLOCK, targets RNA (rather than DNA), and has the potential to transform research and global public health. Multiplex genome engineering using CRISPR/Cas systems. Cong, L., Ran, F.A., Cox, D., Lin, S., Barretto, R., Habib, N., Hsu, P.D., Wu, X., Jiang, W., Marraffini, L.A., Zhang, F. (2013). Science 339, 819-823. C2c2 is a single-component programmable RNA-guided RNA-targeting CRISPR effector. Abudayyeh, O.O., Gootenberg, J.S., Konermann, S., Joung, J., Slaymaker, I.M., Cox, D.B., Shmakov, S., Makarova, K.S., Semenova, E., Minakhin, L., Severinov, K., Regev, A., Lander, E.S., Koonin, E.V., Zhang, F. (2016). Science 353, aaf5573. 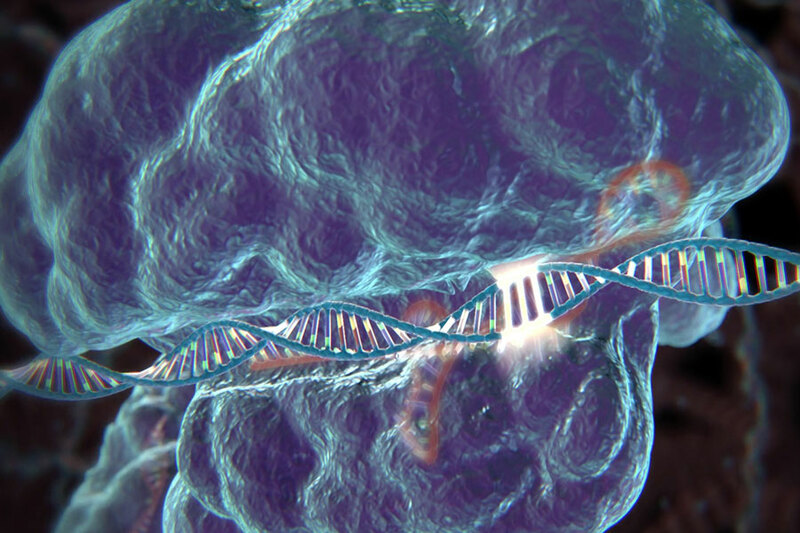 ​Nucleic acid detection with CRISPR-Cas13a/C2c2. Gootenberg, J.S., Abudayyeh, O.O., Lee, J.W., Essletzbichler, P., Dy, A.J., Joung, J., Verdine, V., Donghia, N., Daringer, N.M., Freije, C.A., Myhrvold, C., Bhattacharyya, R.P., Livny, J., Regev, A., Koonin, E.V., Hung, D.T., Sabeti, P.C., Collins, J.J., Zhang, F. (2017). Science 356, 438-442. Zhang, F. Exploration of Microbial Diversity to Discover Novel Molecular Technologies. Keio J Med. 2019;68 (1):26. doi: 10.2302/kjm.68-002-ABST. PubMed PMID:30905885 . Strecker, J, Jones, S, Koopal, B, Schmid-Burgk, J, Zetsche, B, Gao, L et al.. Engineering of CRISPR-Cas12b for human genome editing. Nat Commun. 2019;10 (1):212. doi: 10.1038/s41467-018-08224-4. PubMed PMID:30670702 PubMed Central PMC6342934.